We're safely back in Australia but there's one little event that happened on the way that's worth sharing. We were taking our standard path to the airport and all was going well. 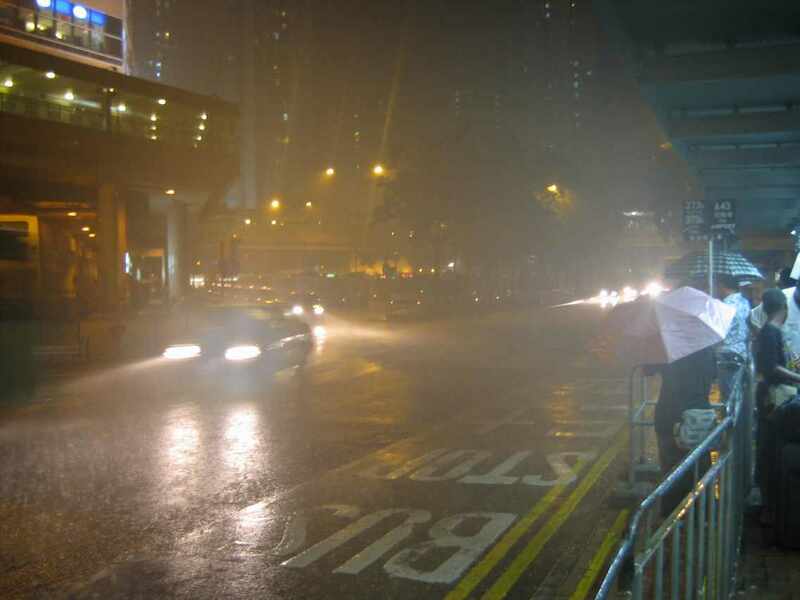 As we drew near to the Sheung Shui KCR rail station I noticed that things outside were looking a little shiny - it had started to rain. I don't mean that it had started to drizzle, I mean that a tropical thunderstorm decided to roll through and empty itself right over us! The thunderstorm would have all been fine except for one small thing - the 75m open air dash from the train station to the bus shelter to wait for the A43 bus to the airport! The buses come about every 30 minutes and for a few minutes we nervously waited at the exit to the train station for the rain to ease, hoping that the bus would not come. Water was flowing like sheets all over the ground and the rain was torrential, showing no signs of abating. Not wanting to mis the bus we decided to make a bolt for it. With luggage and back-packs we bolted for the bus stop. About half way there my case hit a bump which sent my laptop flying whereupon it landed in the water. I madly grabbed it and continued my bolt. At the bus stop we took stock - we were drowned like rats. 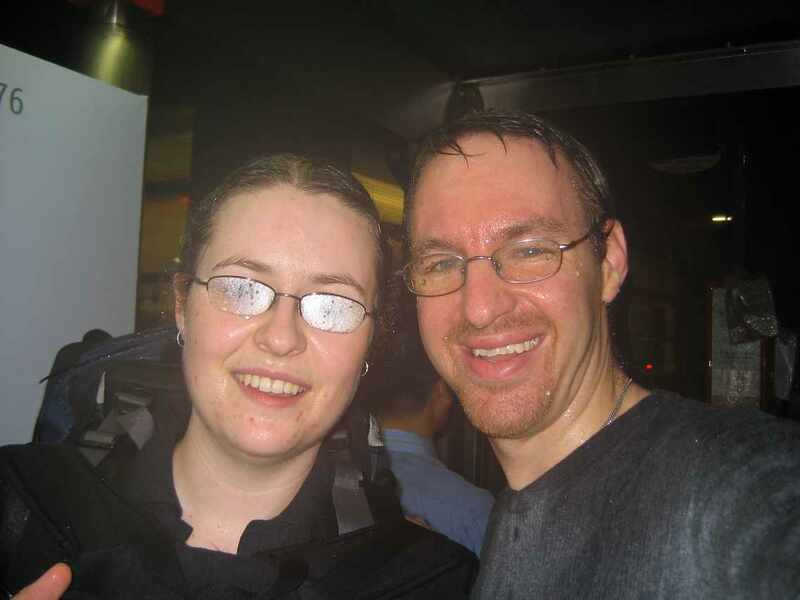 Water was dripping from our heads, our glasses were covered in water and we were wet through. For the next hour we shivered our way through the 1 hour air-conditioned bus ride to the airport. At the airport we took turns to go the toilets to change out of wet clothes and/or dry clothes under the hand dryers. The only harm done was a couple of clothing items in my case had wet spots on them. The laptop was, thankfully, dry. We warmed ourselves with a hot drink, ditched all bottles that were over 100mL in size in accordance with the new hand luggage regulations and readied ourself for the 8 hour flight to Perth.